Soro Solo of Ivory Coast brings his unique style of afropop with a mixture of coupe decal, makossa, souks, and traditional african rhythms. Congolese guitarist Huit Kilos (former guitarist of Papa Wemba) will keep you moving with his blistering solos. 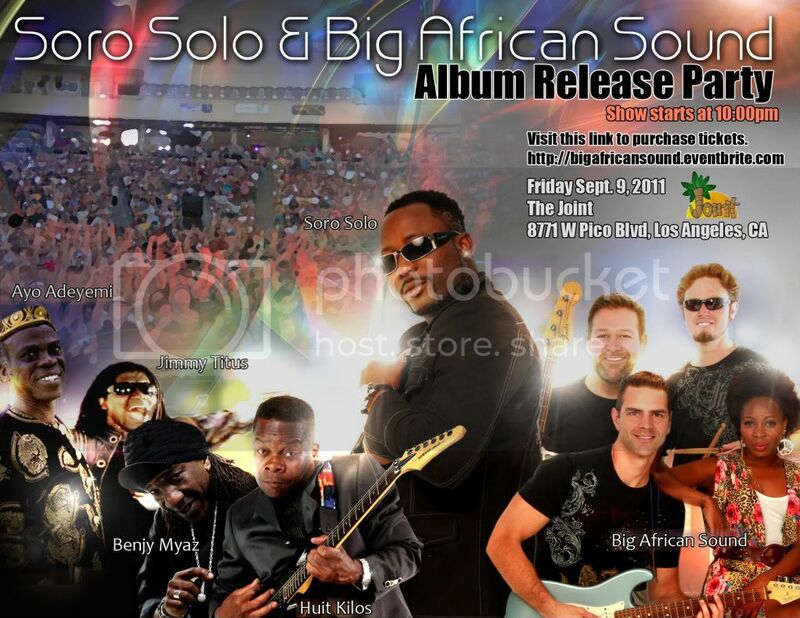 RSVP for Soro Solo & Big African Sound Album Release Party to add comments!